RWS Street Eats is back for its second year! Get ready to satisfy your taste buds with Southeast Asia's most iconic hawker delights from more than 20 street food stalls specially curated from Malaysia, Indonesia, Thailand, Vietnam and Singapore. This year's special guests? The highly-acclaimed Top Chef Vietnam 2014 finalist - Chef Cam Thien Long, also known as Chef Steven Long, who will be showcasing his popular Pho Bo & Vietnamese Summer Rolls, as well as Chef Zainal Abidin & Chef Mohd Fairus, who have captivated crowds around the region with their Flying Roti Canai. 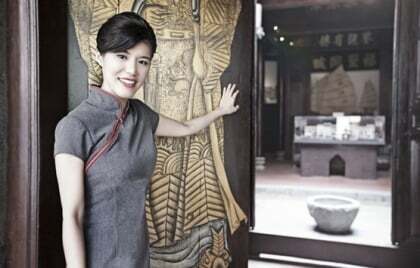 You can also look forward to indulging in mouth-watering fusion pork dishes from the iconic Pork Star Bali. 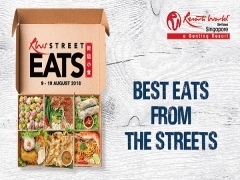 Let your inner foodie embark on a journey of flavours at RWS Street Eats today!